People from outside Miami are sometimes shocked we don’t have an abundance of Mexican restaurants like they do in, say, LA. Because having so many Spanish speakers means we must also kill the quesadilla game, right? Riiiiiight. 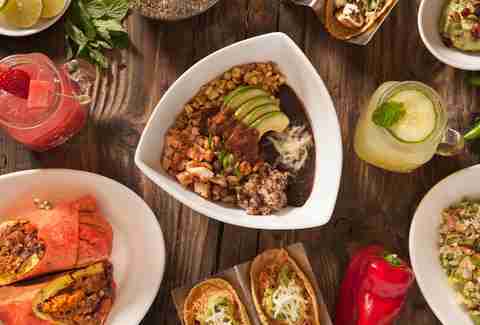 But while we may not have as many taquerias as we do ventanillas, we still boast a solid crop of Mexican restaurants in Miami, for almost any occasion. 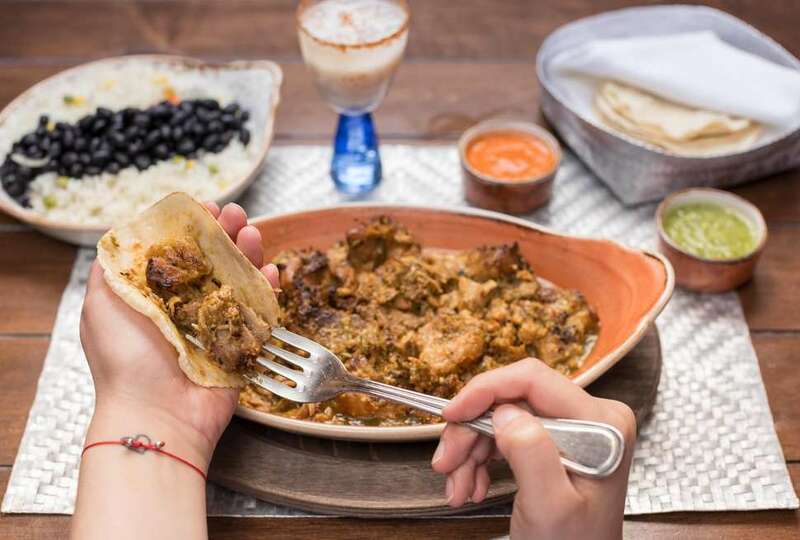 So whether you want to impress a date with the fanciest Mexican food they’ve ever seen, or get tacos on a dented folding chair on Calle Ocho, here are the best Mexican restaurants in Miami. Once upon a time there was this spot on Lincoln Road called El Rancho Grande where pretty much everyone with an office job in South Beach -- all 40 of them -- would gather after work for the best margaritas in Miami. Of course it was eventually priced out and moved over to Sunset Harbour, then reopened at Tequiztlan. 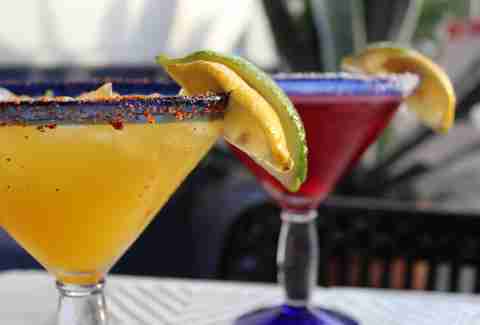 That means land of Tequila, if you’re not up on your Spanish, and they’ve got over 200 varieties best experienced in the signature margs, specifically the Polanco (Herradura anejo infused with basil, paleta, fresh strawberries, and agave nectar). This spot inside Icon Brickell with a front row seat of the Miami River is likely the most impressive Mexican restaurant in Miami. Go early, and you’ve got a waterfront view; show up later and you’re inside with lavishly high ceilings, ornate Mexican decorations, and a roving Mariachi band that gives the place both energy and class. The food is spectacular, with a tacos section filled with stuff like octopus carnitas and sauteed rib-eye. Or inventive entrees like braised short rib in agave demi glaze. But, ya know, pack your wallet. If you’ve ever wondered what a $27 taco looks like, you’ll find out. The more cynical among us might think you need a ton of cash to impress a date in Miami. And yes, if trying to date the stars of Instagram is your game, that may be true. But take most people to this unassuming spot on Calle Ocho and snag a seat outside -- the narrow walls feel like you’re eating in a cozy little taqueria south of the border. 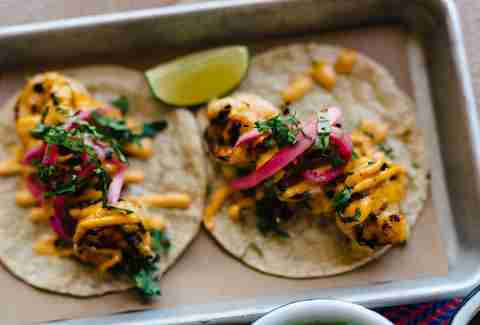 Though the tacos here are known as among the best in the city, it still feels like a hole-in-the-wall find (sure to impress your date with culinary knowledge that definitely didn’t come from the Internet). Finish the night with a drink across the street at the Cubaocho Cultural Center, and you’ll look downright worldly without having to go west of 17th Avenue. 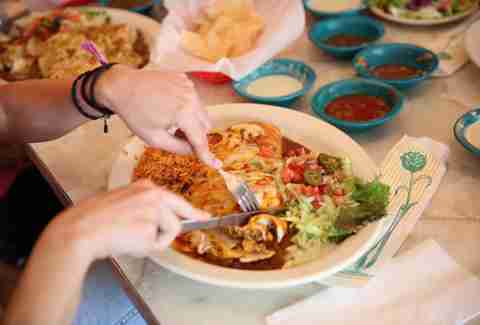 Let’s get this out of the way now for all the food snobs/people who don’t shut up about Austin: Yes, Chuy’s is a chain. But you know what? Who cares if they’ve got like a gazillion locations in Texas? The food here is fantastic, and dinner for two WITH drinks is less than what you’ll pay for appetizers at most Miami restaurants. The chili con queso is a smoky, spicy way to start the meal and evokes every flavor you think of when you imagine food in the southwest. Moving on to the mains, the enchiladas in boom boom sauce bring a cheesy, spicy jalapeño flavor on top of hand-rolled fresh tortillas. 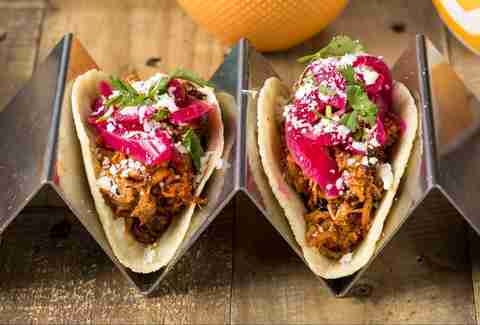 The tacos are big and filled with fire-grilled meat that actually doesn’t leave you feeling too stuffed. It’s good food at a great value, and if you don’t mind laminated menus, it’s a weekly go-to. So the idea of going anywhere for healthy Mexican food is kind of like going to Toronto for the beaches. But there is actually, like, one decent beach in Toronto, and the food at this LA transplant on Lincoln Road is lighter, more flavorful, and flat out better than many of the “authentic” spots. It’s very much Mexican food for the new 2018 diner -- gluten-free vegetarian tacos aren’t a problem. Nor are salads with all organic ingredients. There’s adobo tofu and vegan picadillo, and the rest of the meats are all hormone and antibiotic free. All this healthy stuff gives their classics like the carne asada and chicken tinga a cleaner, crisper flavor than more traditional Mexican food. So even if the idea of trying to be healthy seems silly to you, you’ll still enjoy everything on the menu. Beachside tacos are a California tradition, though somehow they haven’t exactly taken off here. But if you want to relax with a cold cerveza and some baja fish tacos, no place does it better than Lolo’s. This spot in the Stanton Marriott has a pretty simple menu of carnitas, shrimp, rib-eye, and fish, served in a big, shady dining room that feels especially refreshing after a long day in the sun. Or if you’d prefer your tacos with a healthy side of sand, get them to go and stroll right onto the beach as everyone looks on in envy. When you’ve got a line wrapped around the front of your store on random weekdays at 3pm, you’re obviously doing something right. Because as much as Miamians loathe lines we’ll still brave the one at Coyo, whether for the heavy, meat-filled burritos, flavorful tacos, or elote de la calle corn. With over a dozen different fillings from cactus to pastor to crispy duck, it’s a place you can hit over and over without getting bored. Just make sure you’ve got someone in your group to scope out seats. Finding one at lunchtime can be war. Oh, you want luxurious stuff like undented chairs and clean restrooms? Stay in Coral Gables, there, fancy man. You want the flat-out best grilled meat put on a tortilla anywhere in Dade County? Then hit this little storefront on Calle Ocho, set perfectly between the tourists spots and West Brickell to maintain its gritty charm. 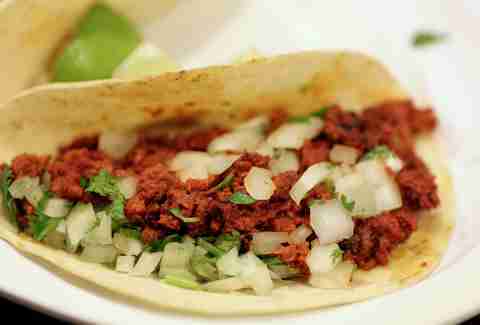 Getting a plate of chicken or steak tacos and sitting out on the sidewalk here is one of the great Miami experiences. And while it won’t be impressing anyone, it will definitely impress your stomach. Which is really all that matters anyway. 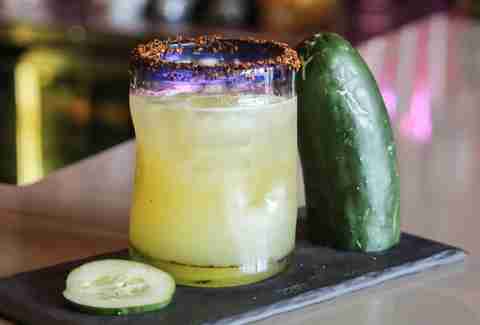 Partly because it’s been around nearly a decade, and partly because it’s in an unassuming spot on Ponce de Leon Boulevard, Talavera often gets overlooked in the conversation about Miami’s best Mexican restaurants. 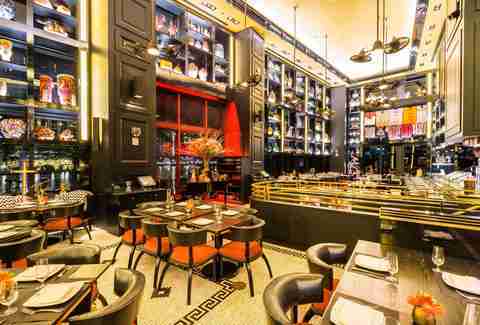 But this grand dining room has been plating some of the best food in the 305 on ornate pottery without the need for much acclaim. You’d be hard-pressed to find a weak spot on the menu, but the must-get here are the moles, a rich, chocolatey, spicy sauce heaped on top of chicken, steak, or pork belly. Or draped atop a steaming plate of enchiladas. It might not be the only place in town you’ll find mole, but it’s the undisputed champion. Matt Meltzer is a contributing writer to Thrillist who’s shocked Phoenix doesn’t have more good Cuban restaurants. Follow him on Instagram @meltrez1.